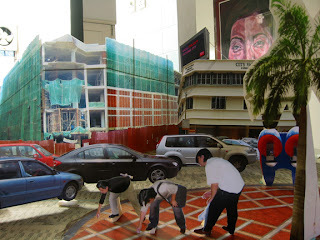 TM's Art Lab: " The Gleaner 2006 "
" The Gleaner 2006 "
I made use of narrative and allegory to sketch out the doubtful questioning and cynicism. 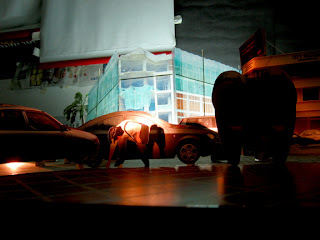 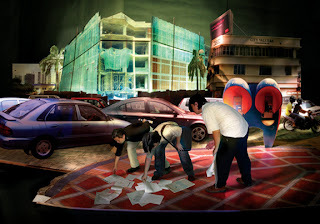 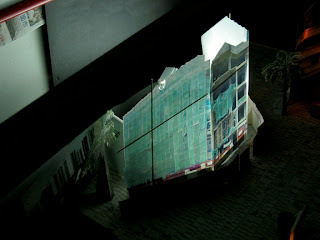 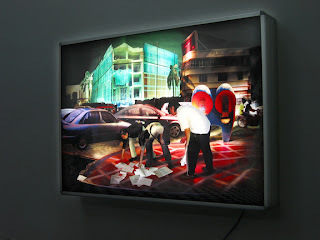 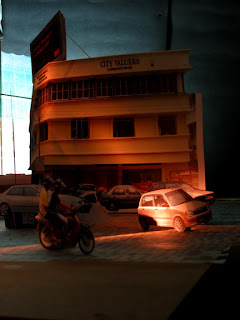 Several techniques are used in the process of making this art piece, the scene of this piece of work is a photo shorting of a 3 dimensional small scale mockup with a live mini lighting setup ( just like a mini theatre stage )that I make. 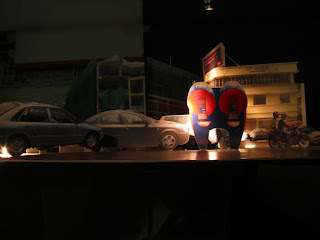 The process of making "art product" for me isn't just a process of making out an "art product", but as an action/performance to react to the content and itself are also become one of my matter of express idea and concept too.